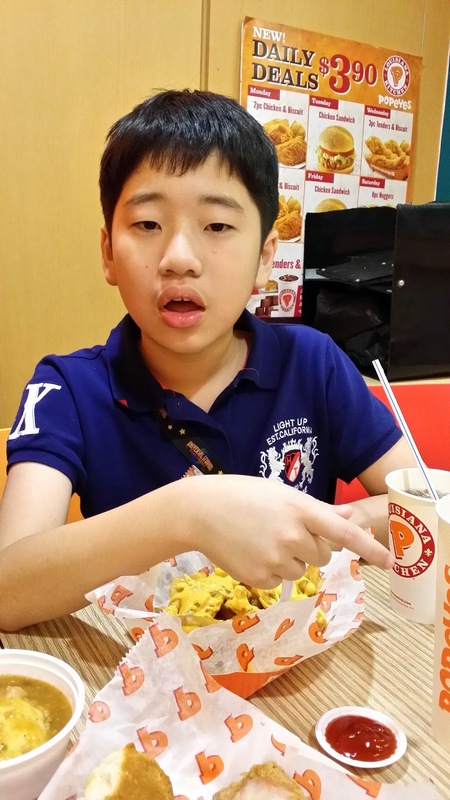 A shocking face from Javier when he is enjoying his Cheese Fried Fries and I took this photo. 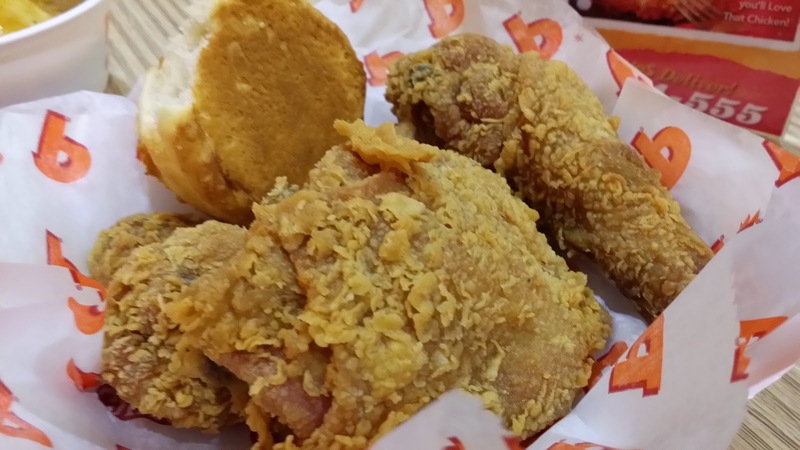 Now we are here at Popeyes, one of the outlet in IMM Building. I am sorry to express my view that the service in this outlet was really slow. Waited in the queue for more than 20 mins. We have no complaint about the deep fried chicken. Outer layer was crispy, meat was tender and juicy. 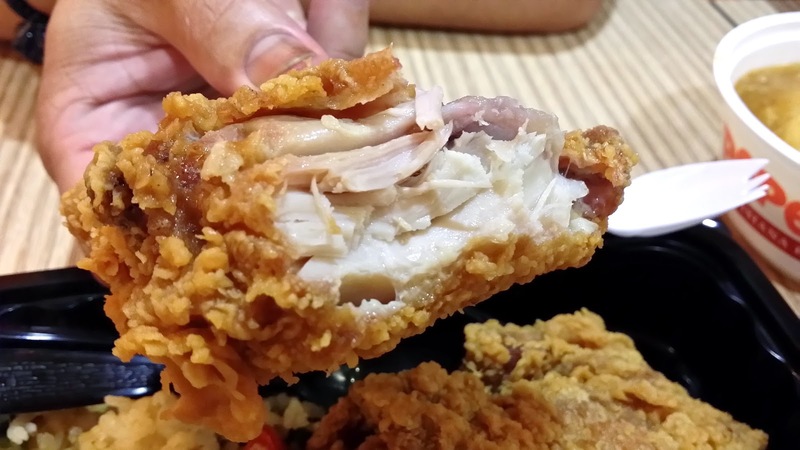 Most important you can taste the original chicken meat flavour. 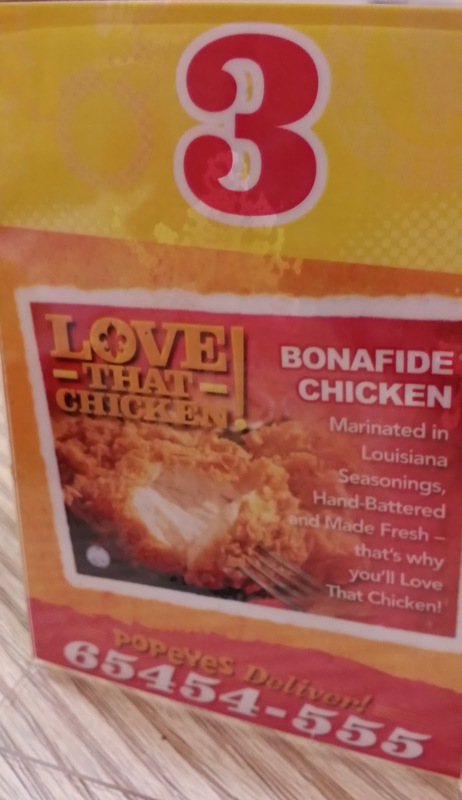 I don't really like fast food but after trying Popeyes deep fried chicken, I cannot deny that I will give a thumb up for Popeyes. 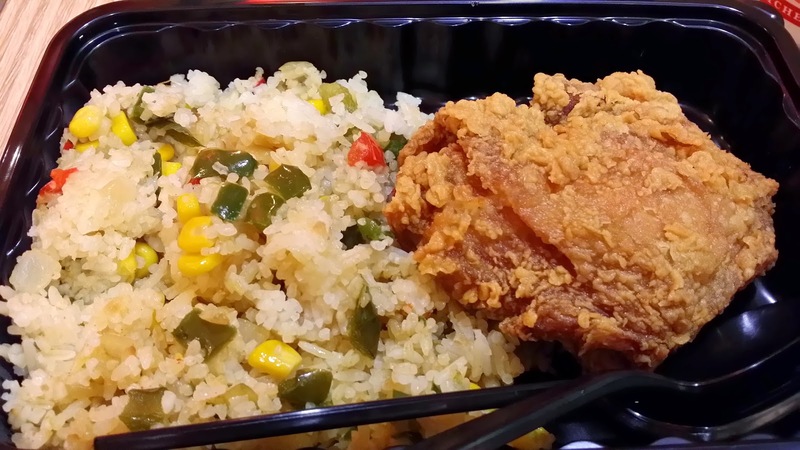 Maybe not everyone will like Popeyes coleslaw but I do like this side dish very much. 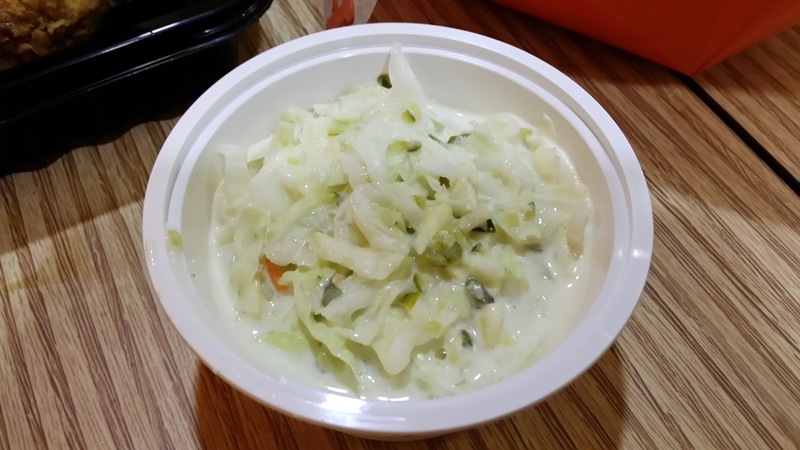 If I am not wrong, sliced pickles was used in the coleslaw. Believe it or not, it took 10 mins for us to wait for the Onion Rings. Nevertheless, after trying and I finally understand about the waiting time. 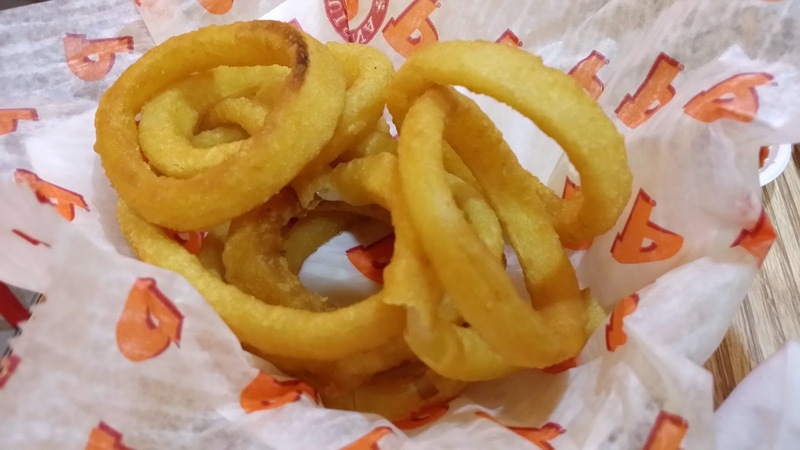 Popeyes Onion Rings taste so different when you can really tasted the onion.